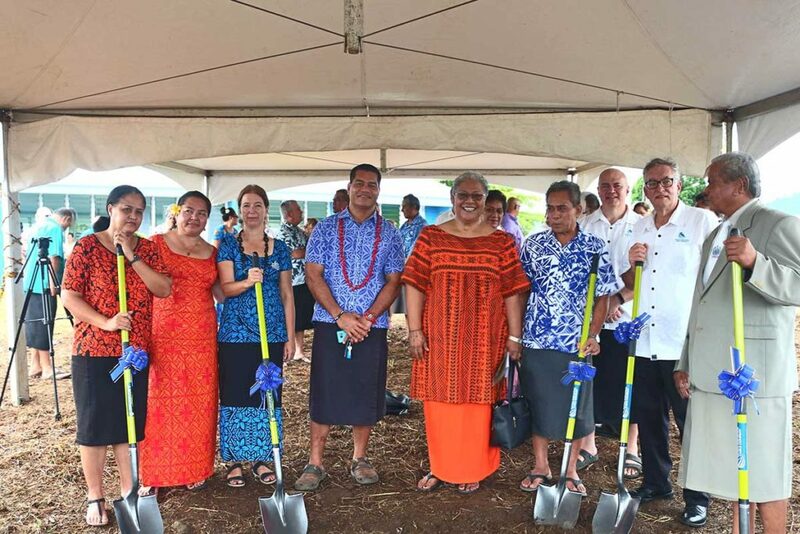 On 6 February 2017 in front of the Government, development partners and business community, Samoa Submarine cable company broke ground for the commencement of civil construction of the Tui-Samoa Submarine cable landing station at Vaivase-Tai. The Tui-Samoa cable is an 8 terabit system which will connect Samoa (Upolu and Savaii), the Territories of Wallis & Fatuna and Vanua Levu to Suva on the Fiji mainland. 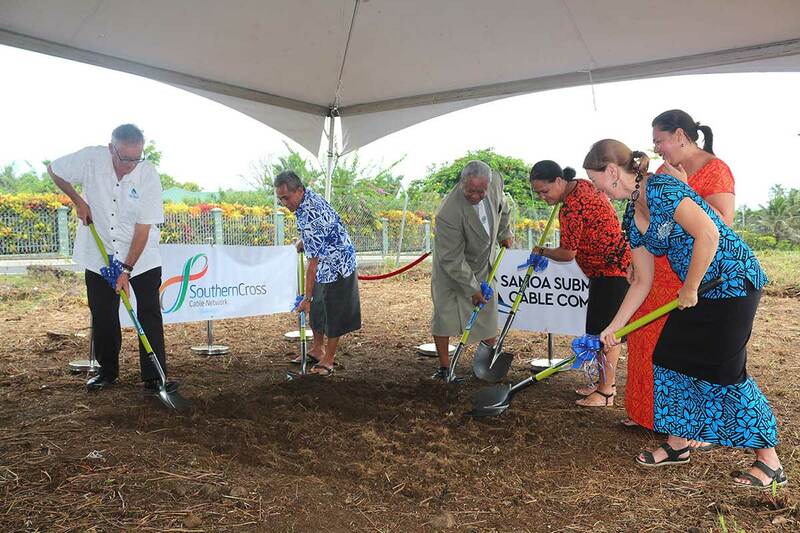 The Tui-Samoa ground breaking also signalled Samoa’s intention to become a hub in the region by also announcing its partnership with Southern Cross Networks. The Government of Samoa through the Samoa Submarine Cable Company (SSCC) formally announced its commencement of commercial negotiations to host a spur off the 12,500km Trans-Pacific Southern Cross Next connecting Australia & New Zealand (and also Samoa) to the Los Angeles in California, USA. “Today is the commencement of commercial negotiations between SSCC and Southern Cross Cables in relation to Southern Cross’s Project Next. 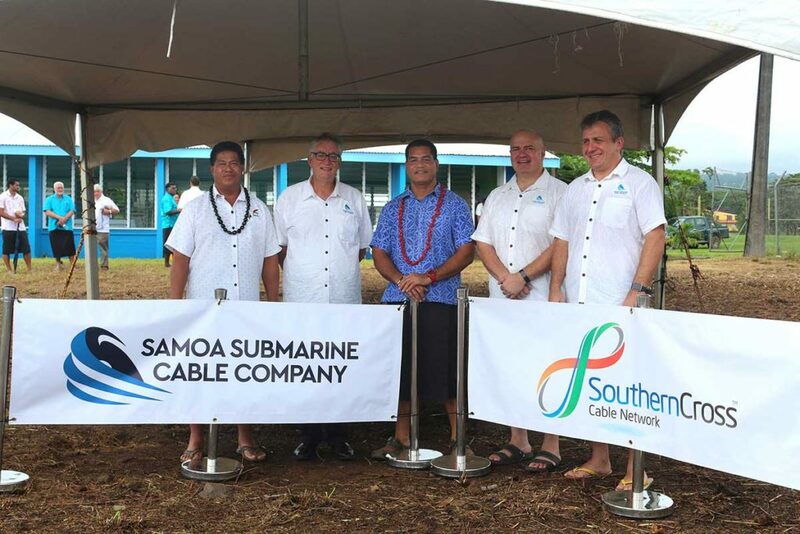 This is an important step towards positioning Samoa as a submarine cable hub in the region and will further enhance the prospects of winning the rights to also land the Pacific Connectivity Project submarine cable from Tahiti at this cable landing station. The Government of Samoa and SSCC look forward to working with Southern Cross Cables to be your reliable and trusted partner and to fulfil our ambition to be the cable hub for central Polynesia”. Hon. Afamasaga Rico Tupa’i, Minister of Communications and Information Technology with Hon. Fiame Naomi, Deputy Prime Minister of Samoa. “Tui-Samoa Cable will greatly help to improve the lives of ordinary Samoan people. It will provide school children in rural villages the same access to information that children in developed countries take for granted, it will provide local Samoan businesses the platform to promote their goods and services and compete in international markets, and it will also allow our Government to fast track our National Digital Economy Strategy in order to provide eGovernment services to our people”. Delegates from the Government of Samoa with Anthony Briscoe CEO, of Southern Cross Networks, and SSCC personnel. The event ended with the Deputy Prime Minister Fiame, thanking Samoa’s development partners – the Asian Development Bank, the World Bank and the Australian Government for their support of the project as well as the SSCC equity investors, the Southern Cross Networks for the opportunity to develop Samoa as a hub for the region.